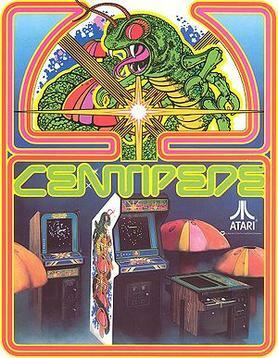 Centipede is a new idea, a new experience in game play that challenges skill and concentration. It's easy to learn, but the tension builds relentlessly as the game progresses. 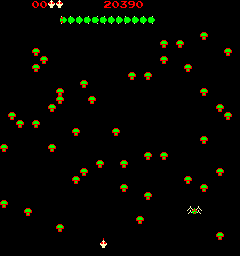 The player must destroy the centipede as it moves faster and faster through a colorful mushroom field, as well as protect himself from a deadly Flea and ferocious Spider. A poisonous Scorpion further threatens the player and makes a good target as it sails across the playfield, poisoning mushrooms that it touches.